I have searched the internet high and low for the ULTIMATE gift ideas for the person who loves awesome kitchen gadgets and equipment. If you are in need of awesome gift ideas and fun stocking stuffers this Christmas, let me be your personal shopper! This post contains affiliate links for amazon.com. I am an affiliate for Amazon so if you like any of these gift ideas, please click on the links to purchase any of these items. I receive a small commission for purchases made through my site which helps support my blog. I only recommend products that I personally use and love! 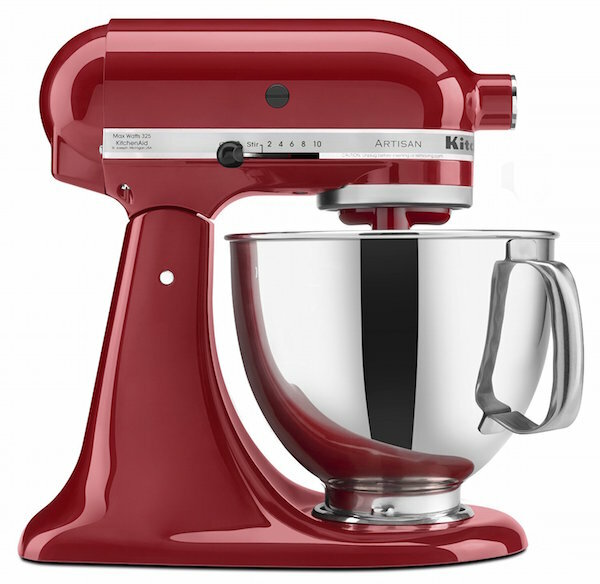 The KitchenAid Artisan Stand Mixer is by far my favorite gift for the person who loves to spend time in the kitchen whipping up tasty treats like cakes, muffins, cookies, breads, homemade whipped cream….and 1,000 more sweet and savory dishes (I could go on and on). I have owned my KitchenAid stand mixer for five years and it still works like new, even though I use it ALL THE TIME! The best part is, if you want to make ice cream, roll out and cut fresh pasta, grind your own meats, they have attachments that can do all that for you! The fresh pasta maker attachments are a splurge, but if you know someone who looooves making pasta from scratch, this could be the perfect compliment to their KitchenAid mixer. 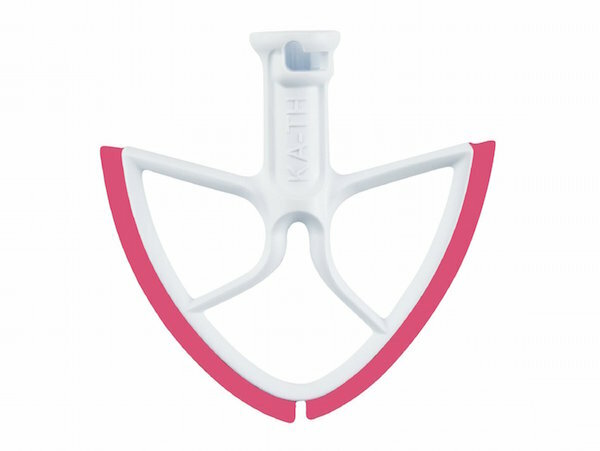 The Beater Blade for a KitchenAid mixer is a new product that has been developed to help scrape down the bowl while you are mixing….GENIUS!! I have had my Cuisinart 11-cup Food Processor for five years now and it’s the best tool to make pie crust and homemade pesto. 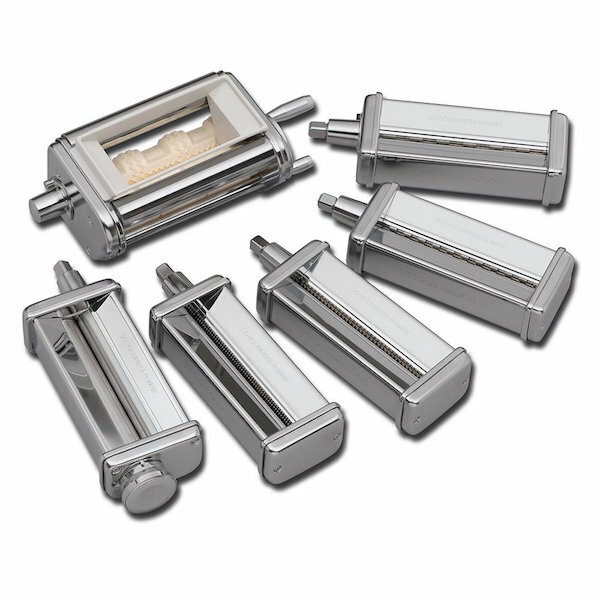 It can chop nuts in just a couple of pulses, and includes attachments for shredding cheese and slicing vegetables in the blink of an eye! 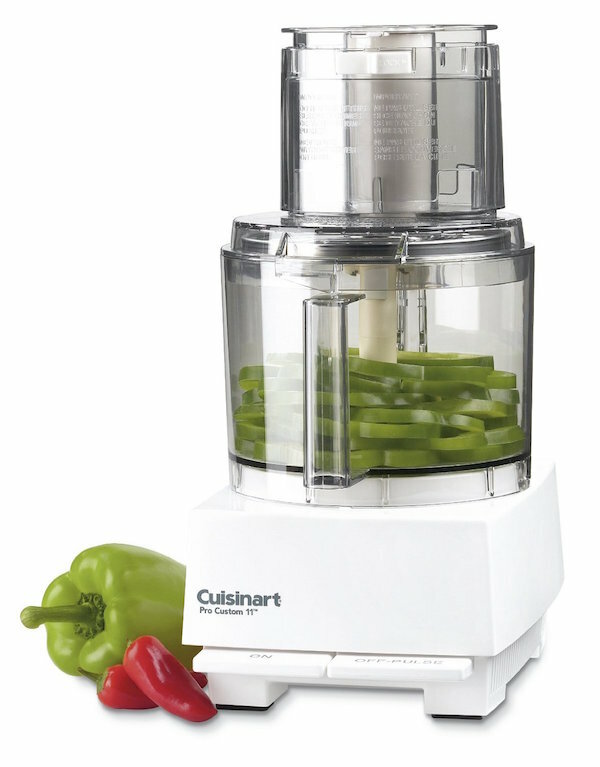 Puree soups in seconds and make homemade nut butters….seriously, it can do so much more!! These fun silicon oven gloves come in three different colors and do just what they say they will…protect your hands from the hot oven! 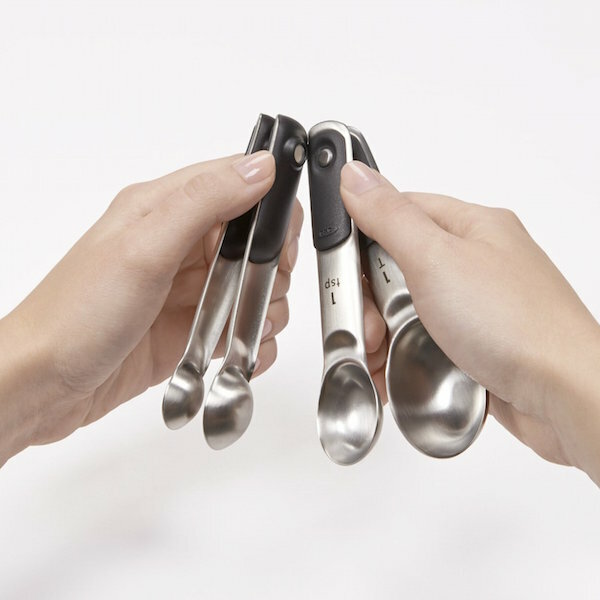 Magnetic measuring spoons, why didn’t I think of that?! I bought my spoons a couple of years ago and I just love the sleek design and ingenious magnetic snaps. I can keep my kitchen drawers organized yet not dirty up all the spoons at once since they are not attached with those pesky little rings. This is a perfect stocking stuffer! 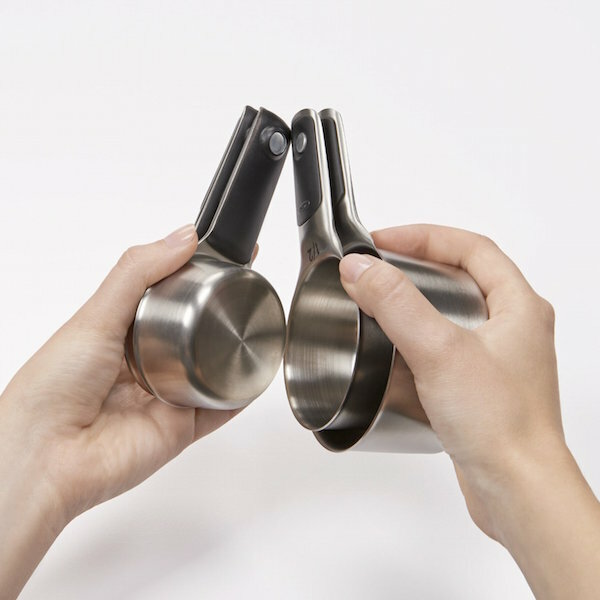 Why not get your loved one the whole set of magnetic measuring cups too!! Now that I’m a new mom, I finally understand the glory of the crockpot! Throw your ingredients in, set the timer, and WALK AWAY. Dinner is done by the time you get home from a long day. I purchased this exact model over two years ago and I have only begun to scratch the surface of what’s possible to create inside this little miracle worker. 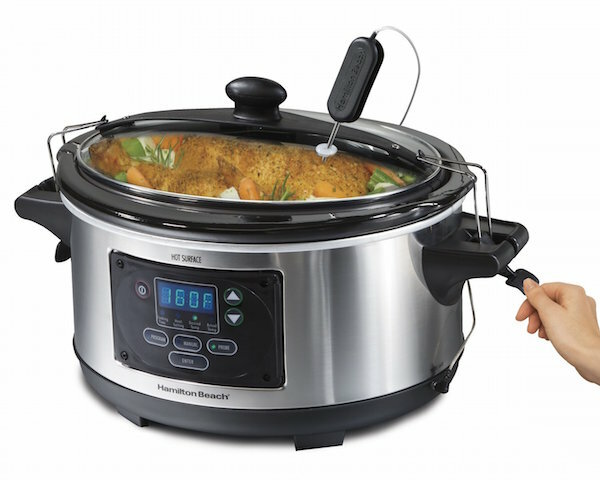 From mouth-watering stews to fork tender barbecue and roasts, soups, casseroles, even CAKE, the sky is the limit with a crock pot. Check out how I keep mashed potatoes warm for up to four hours by using the crockpot! With a price tag of about $50, this is a much more affordable piece of kitchen equipment??. Call me old fashioned, but I love a non-electric, pod-free, coffee-filter-free, easily-storable coffee maker that won’t clutter your countertop and makes a hot cup of joe in just a couple of minutes. Just add boiling water over the coffee grinds and let steep for 2-4 minutes. 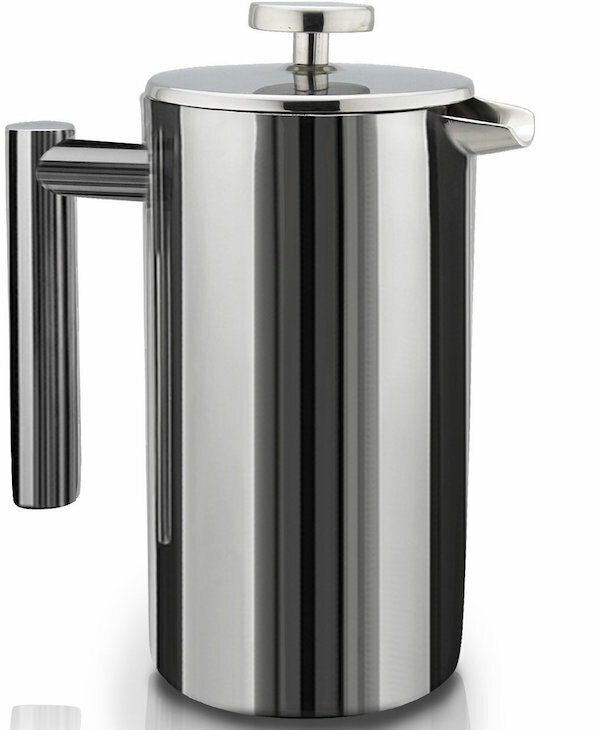 I personally have been using the Bodum French Press for a good while now and I love it. The thing that I don’t love is the glass is easily breakable, and we have already had to replace it once. However, the SterlingPro French Press is a #1 Best Seller, has a 5-star rating on Amazon⭐️, and the stainless steel body won’t break! Before you purchase a super convenient pod-based coffee machine, think about the environmental impact of throwing away all those tiny pod containers. That’s an enormous amount of unnecessary plastic in our landfills! Are you or a loved one ready to start embarking on a healthier lifestyle? Where on earth do you start such an endeavor? For me, this started over 8 years ago when I purchased my Blendtec Blender. I took a seminar on whole foods eating and the Blendtec Blender was at the center of this workshop. I learned how to make smoothies out of the freshest whole food fruits and vegetables, and also learned tips about blending the green tops of strawberries, the core of the pineapple, seeds of grapes, the stems of herbs, etc. for better nutrition in my smoothies. This was all made possible by the extraordinary power of the Blendtec Blender! I have used my Blendtec for over the past 8 YEARS, and it’s still going strong??. Blendtec Blenders are the standard by which all other blenders should be judged. If you click on any of the links, you can watch a great video on why Blendtec is the best, (click on the extra photos area) and there is a great tutorial on how to make whole food juices, ice cream, and even grind flours to a fine texture with a Blendtec (I couldn’t embed the video here). 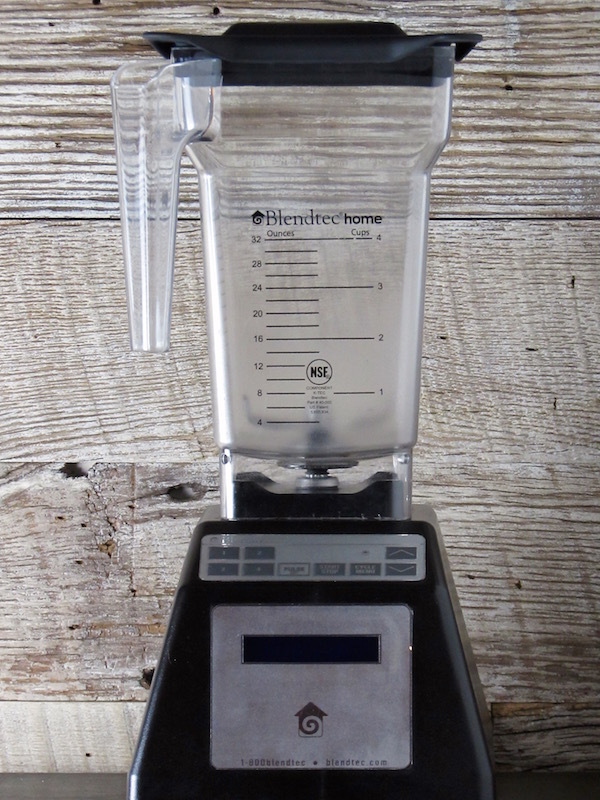 Below is a photo of my Blendtec that still looks like new, even though it has been used hundreds of times. The best part is, Blendtecs are built to last and come with warranties from 3-8 years (depending on the module). My Blendtec is in perfect working condition, therefore I have no desire to upgrade. I’ll use it until the wheels fall off! So trust me when I say it’s worth the price. Also Blendtecs are Made in America, so support American manufacturing by purchasing a piece of equipment that can truly transform your family’s health and well-being! Well that wraps up my 2015 gift-giving guide. I spend countless hours creating informative posts for Bessie Bakes. If you purchase any of these products through the links on this post, I get a small commission, which helps support this blog that I love! So thank you in advance for supporting me here at Bessie Bakes.